Category: Baskets. Tags: basket, display, ethical, gift, Gone Rural, hand woven, handcrafted, Lucazi grass, Lutindzi grass, natural grass basket, social enterprise, storage, Swaziland, Thank you gifts. A stylish open ribbed natural grass basket which is perfect for displaying books, newspapers and magazines or for use as a large fruit or bread platter. 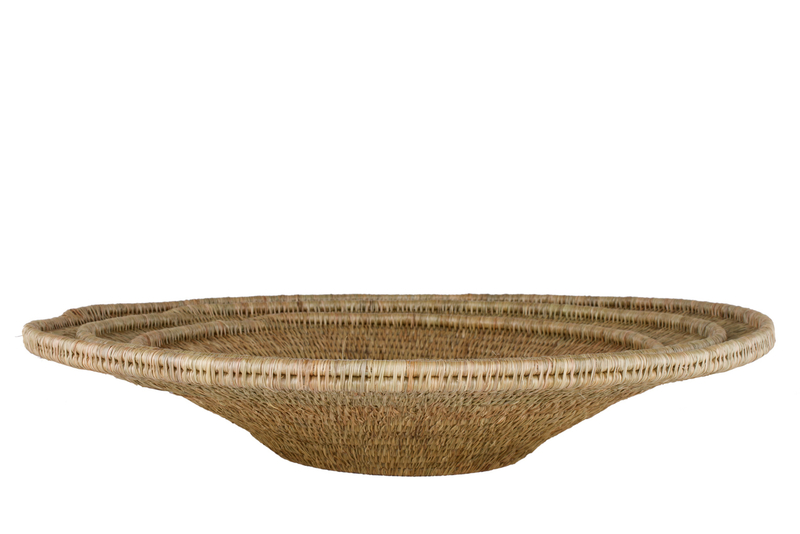 This basket has been handcrafted in Swaziland by women artisans from Gone Rural. 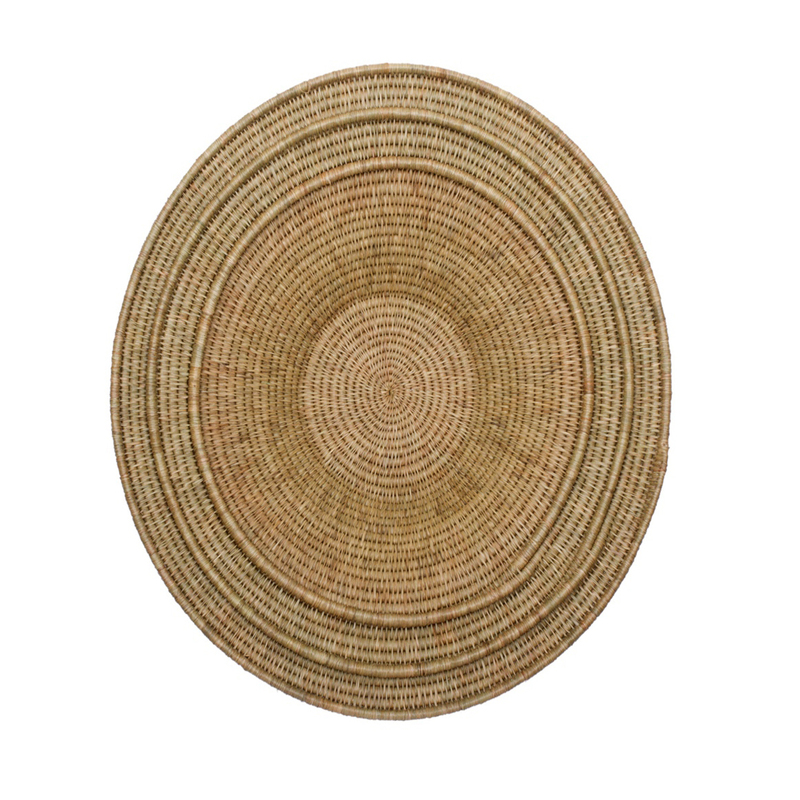 It is cleverly constructed from indigenous and renewable natural fibres, Lucazi and Lutindzi grass. 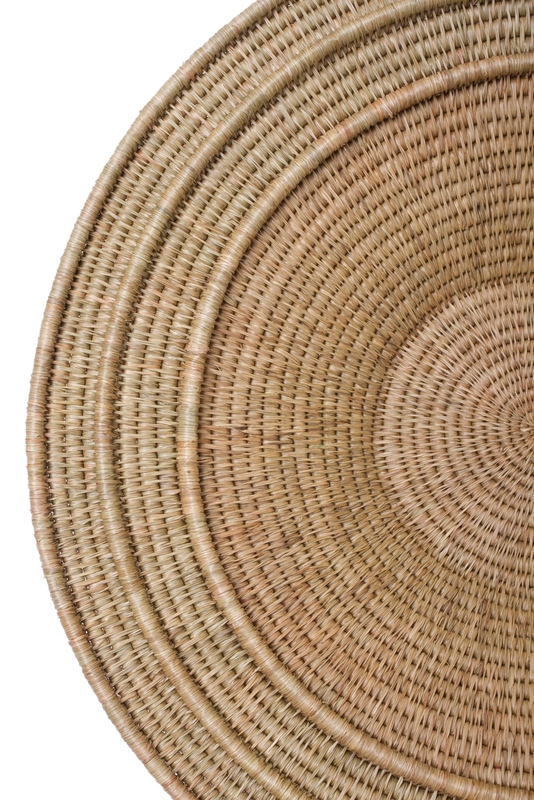 This open ribbed natural grass basket is part of part of the signature range, The Song of the Weaver, which is inspired by three generations of Gone Rural weavers. Gogo or Grandmother Christina has been working for Gone Rural for twenty years and her daughter Siphiwe and her granddaughter Bonakele are also weavers. Gone Rural is a social enterprise founded in the 1970s, which works with over 750 artisans in 13 groups across Swaziland – from young women to gogos (grandmothers) and often with three generations of women from one family. Gone Rural provides its artisans with self-employed, home-based work, empowering them with a sustainable income, which allows them to fulfill their traditional duties and look after their families. Purchases help support Gone Rural Bomake (meaning women) a not for profit organization which provides health, education, and empowerment programmes in Swaziland. Sign up for our newsletter and be the first to learn about our special offers and competitions. 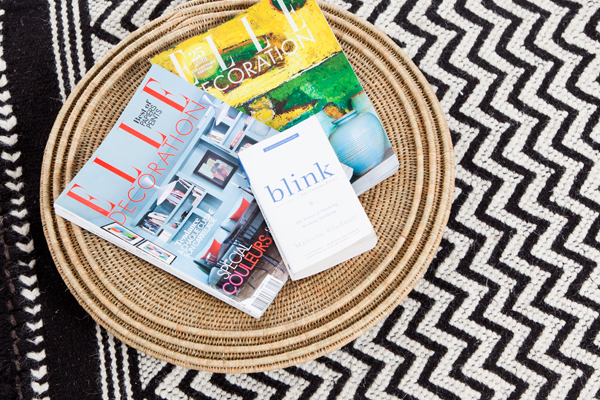 Get special offers, textile, travel and interior inspiration direct to your inbox. We respect your privacy and will not share your email address with any 3rd party.